Some B.C. condominium owners are learning the hard way that simple leaks can turn into complicated and very expensive problems. If a sink overflows, a washer hose breaks or a toilet leaks, for instance, and damages suites to the extent that an insurance claim has to be made, the condominium strata council can seek the cost of the insurance deductible from the responsible owner. It’s a situation that Vancouver condo owner Jack McLaughlin knows all too well. When his sink started leaking, it took three hours to locate the shut-off valve and by then, the damage was done. “It went down and damaged nine other units and caused hundreds of thousands of dollars-worth of damage,” McLaughlin said. The building strata insurance covered a most of the cost — except for the deductible. “There was a $50,000 deductible, and we had not insured for that," said McLaughlin. Nineteen condo towers in downtown Vancouver have deductibles of $50,000, while six have deductibles of $100,000. And the more claims for water damage, the higher it will climb. Because of several incidents, McLaughlin's building now has a whopping $150,000 deductible. It’s not something many owners seem to be aware of, said Lindsay de Craene, of The InsureBC Group. "There's a lot of people out there who just have no idea they could be on the hook for these deductibles." 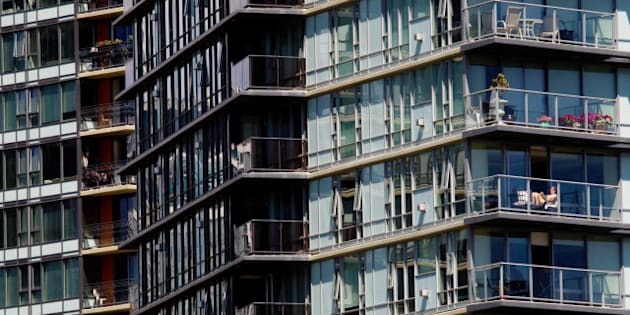 Most condo insurance policies cover a $25,000 deductible, but there have been so many claims, deductibles have been going up faster than the coverage being offered. "There's really only two or three companies in the marketplace that will cover those high limits," de Craene said. De Craene said it can pay to find out if you can buy more coverage for higher deductibles.